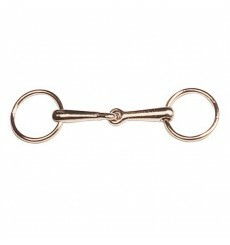 Snaffle Bit Nickel with rings for horse. Available in sizes: 12,5 and 13,5 cms. 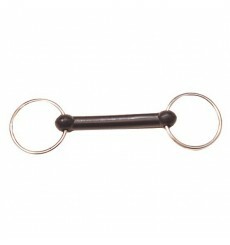 Snaffle bit with rubber mouth for horse, hard steak. Available in sizes 12.5 or 13.5 cms. 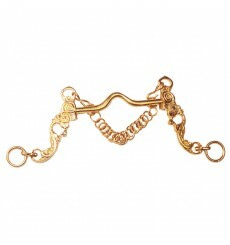 Golden or Silver Portuguese bit Cortesia model.